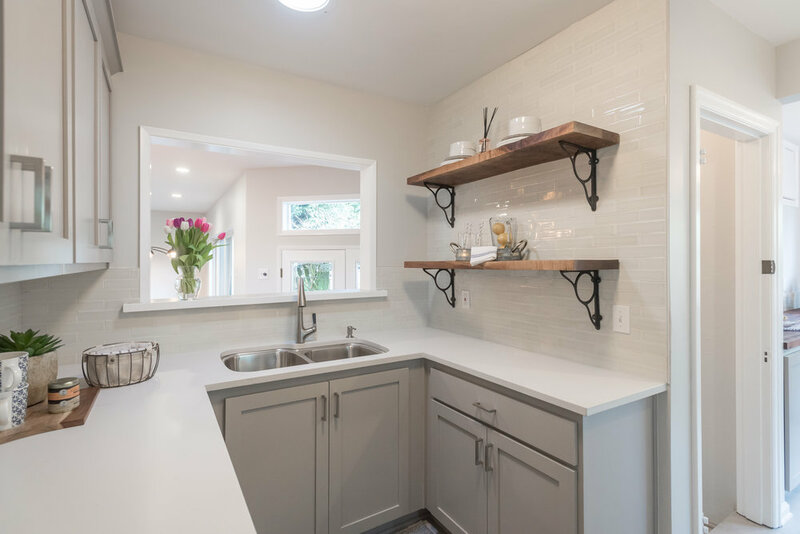 This adorable Sellwood cottage has so much to offer. Not only is it cute and in a fantastic, hot, close-in neighborhood, it also has a brand new kitchen! The sellers were planning on staying for a long time, but had to move out of state for work. The City of Portland Home Energy Score is an 8, out of 10. A certified energy auditor assessed the home and it’s systems, and gave it an 8 out of 10. The R-44 insulation in the attic, 96% AFUE gas furnace, and double paned low-E glass windows helped the home earn such a high score. Read the details here: https://api.greenbuildingregistry.com/report/pdf/R328404-20180129.pdf. The traditional living room is light and bright, with refinished hardwood floors, built-in cabinets, and an electric fireplace. Perfect for formal entertaining or quiet reading away from the TV, this room is the perfect gateway into the rest of the home. The sellers were planning on staying for a long time, but had to move out of state for work. So, the new owner will benefit from this well thought out kitchen remodel. There are brand new cabinets, quart counters, raw edge wood slab shelves, butcher block counters, large tile flooring, and brand new stainless steel appliances. The large great room addition is a surprise for every one who comes to this home. Vaulted ceilings, oversized windows, and sliding doors bring the backyard oasis inside, and heated, stained concrete floors are durable and visually compelling.